Arguably the most prominent feature of Howard University's campus (other than Founders Library) is the Sundial (The Dial) located in the center of the the main campus quadrangular. The brainchild of then Lamp Leroy Clay, The Dial was designed by HU staff architect Bro. Ralph Vaughn who was part of the architect team that designed Founders Library. 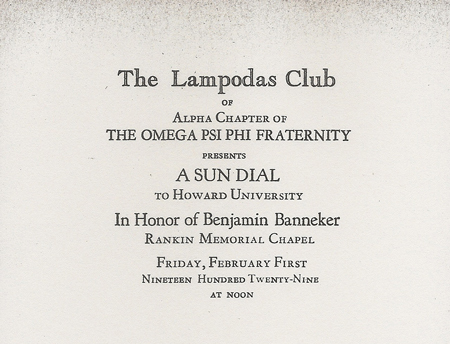 This icon edifice was presented to Howard University on February 1, 1929 by the Lampados Club of Alpha Chapter, Omega Psi Phi Fraternity in a ceremony at Rankin Chapel to honor the contributions of Benjamin Banneker. 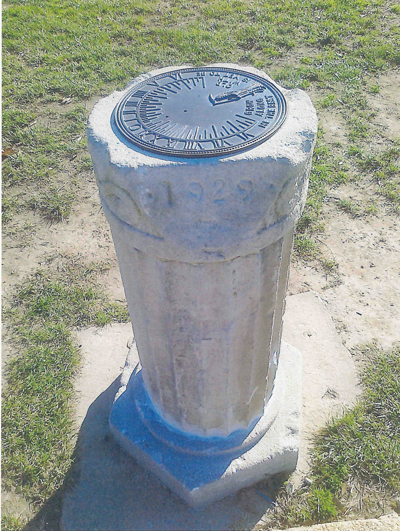 Since that time, The Dial has served as the primary gathering point for the Bros on the Yard especially on Fridays during the Spring and Fall (and sometimes during the Winter if Bros are up to bearing the cold) at Noon when celebrating and honoring Omega through step and song led by the Basileus. 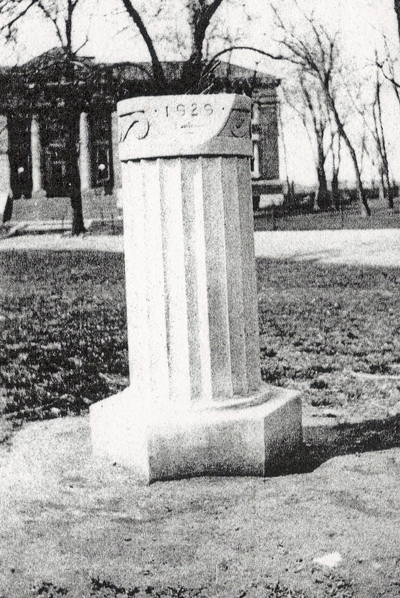 at The Dial in the Spring of 1929. 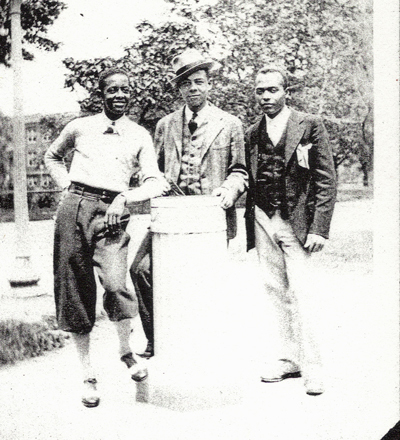 The following is an article from the February 16, 1929 issue of the Chicago Defender regarding the donation of The Sundial to Howard University by the Lampados Club.